This week marks the last first week of my season. Man, that blows my mind. Just yesterday I was a freshman wondering what to expect in my first varsity game! Tonight, I thought I would be relaxed and not nervous at all to start my last high school season. Of course I am more relaxed then when I was a freshman, but I still am very antsy! I guess baseball is a game that will always be exciting to me. Baseball to me is a game that I will always love, and no matter how well established I am in the game, I will always want to live up to expectations that others set for me and also that I set for myself. So, this week, I can only hope that things get off on the right foot! My high school starts games this Tuesday and also plays Wednesday and Friday. As a matter of fact, we have six games in eight days! So to all of you out there about to begin your season, good luck! Relax, and remember it’s a GAME! You know, I say “it’s just about that time,” but does it really ever stop? Baseball has become a sport that is practiced year round, regardless of where you live. But, for me, my last year of high school baseball begins tomorrow. I remember back to my freshman year and the jitters I had the night before high school tryouts. I felt like I had expectations to fulfill even before I touched a baseball at my high school. I wanted to prove myself and let everyone know that I was going to have what it took to play a varsity sport as a freshman. Luckily, I got over the jitters, and ended up making the varsity squad and starting every game from there on out. Three years has passed since then and I feel a lot better going in to this season. This year, I have already committed to play baseball at a top-level junior college in Hillsboro, Mo (Jefferson College), and the pressure is finally lifted off of me. The past three seasons I have put pressure on myself to perform, knowing that I want to get to the next level. And, as much as I love the game, sometimes this got to me, and the game started becoming less fun. So tonight, I sit here and think about the past three years that I have been in high school and playing baseball. I am thinking about the pressure I put on myself, and wondering was it really worth it. Did it really make me perform better? The more I think about it, the answer is no. Actually, the only thing I would change if I could turn back time is the amount of pressure I put on myself. So, what I am trying to say is, if you are the parent of a high school baseball player, remind them that baseball is a GAME. Remember that putting pressure on yourself will not make you perform better; it will only make the game become less fun, and eventually hurt your performance on the field. So, to everyone out there, let’s make this baseball season one to remember. Everyone, go out there on the diamond, have fun, and remember that you are playing a GAME. Today is February 27th and in Missouri, where we live, high school baseball tryouts start. 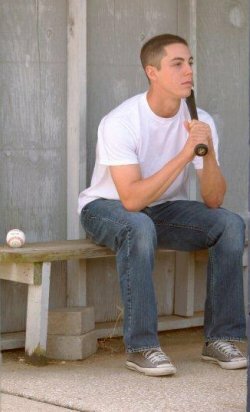 Our son Brian is a senior this year and has agreed to write a weekly blog about his final high school baseball season. 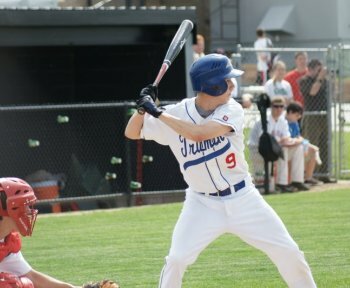 Some of you may have read Brian’s article on Collge Baseball Recruiting that he wrote last fall. The proud dad that I am felt this was a great article and I encouraged Brian to write a blog about his senior year in baseball. Brian has signed a “Letter of Intent” to play baseball at a junior college next year. And if Brian enjoys writing about his senior season, we will again encourage him to share his college experience with all of us. Three years ago Brian was the typical nervous freshman not knowing what to expect at high school baseball tryouts. Rumor was he had a shot at making the varsity squad, which he wanted to make very badly. I also hoped he would make the varsity squad, as long as he didn’t just ride the bench. Turns out he made the varsity team, played every game and hit .353. And the team was good that year finishing with a 19 & 7 record. Being the only freshman on the team added some pressure to his situation. One senior player picked on him a lot, but another senior took him under his arm, so that kinda evened out. I see parents of younger players thank Brian for working with their son, so even though he never mentions it, Brian is paying back the help he got when he was younger. Brian’s sophomore year the team’s record was 16 and 9 and they won their district playoff. His junior year the team went 19 & 6. Brian hit .395 his sophomore year and .453 his junior year. So today starts the beginning of his final high school baseball season. As I have gotten older I say this a lot, "Boy the time has gone by fast". But as parents we have no regrets. We have attended every game and enjoyed every minute. Last night Brian wrote his first entry into his blog he has title “Baseball, It’s Just a Game”. We hope you enjoy it and we hope you get a chance to come back and follow his high school baseball final season. (Follow Up) As with many high school seniors, Brian became too busy to continue writing. I do hope you did enjoy his one installment.